Hello, I'm Laura from Keeping Healthy Getting Stylish and today I'm exchanging guest posts with the lovely Alissa on the theme of the Healthy Lunch Box! As both myself and Alissa have been enjoying experimenting with raw foods we thought we would both create a raw lunch box! I love Alissa's blog for her wonderful recipes and beautiful food photography. She also introduced me to adding greens other than spinach to my green smoothies! Like Alissa, I enjoy adding raw foods into my diet when I crave them. At the moment I love nothing more than a huge salad filled with greens and veggies topped with some beans, tofu or even crumbled raw crackers along with a tasty dressing. For the lunch box I'm sharing today I thought I'd get a little more experimental! Here are the recipes for you! Add all ingredients to a food processor and blend. This was my first time experimenting with making my own pesto and it tastes amazing! 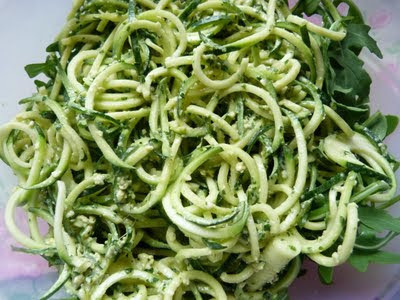 Toss the courgette spaghetti with the pesto and serve on top of the rocket. This is such a delicious and easy to make pesto, I’ll never buy it from the supermarket again! 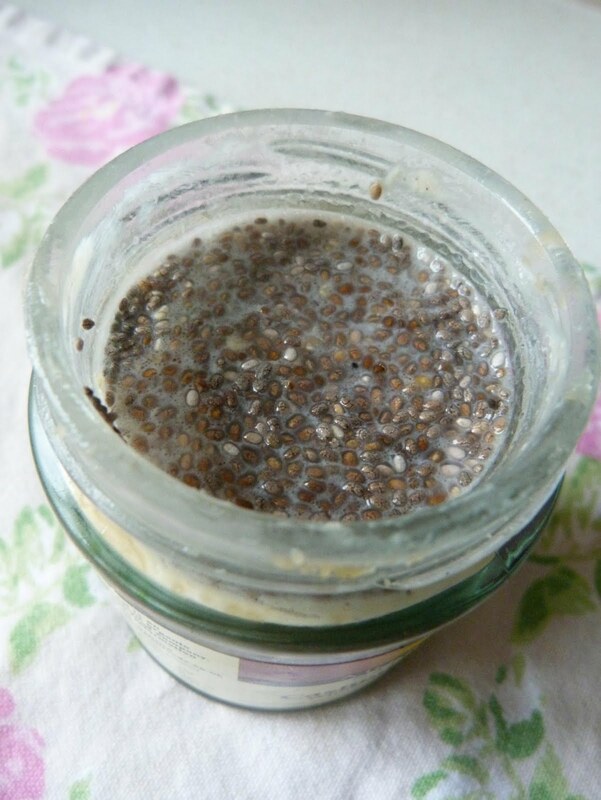 Combine all ingredients together in a small jar (a near empty cashew butter jar as I used would be perfect!) and leave in the fridge for a few hours to allow the chia to gel. Enjoy! This is a wonderful tangy, sweet pudding choc full of healthy fats which should keep you full all afternoon! 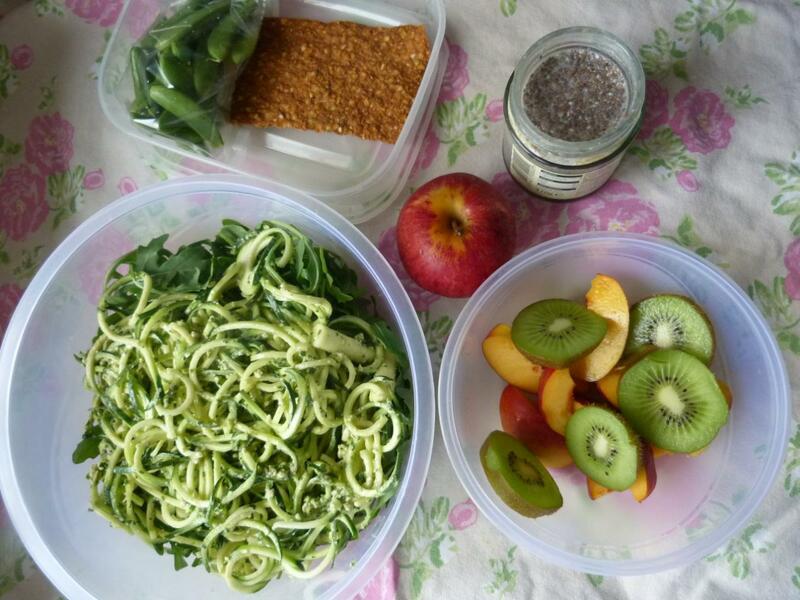 · Raw wraps - I love using spring green leaves and spreading them with sunflower seed butter, apple, carrot and basil! Some great blogs to check out for raw food ideas include Choosing Raw and Kristen's Raw. Have you ever experimented with raw foods? What would be in your perfect lunch box, raw or not? 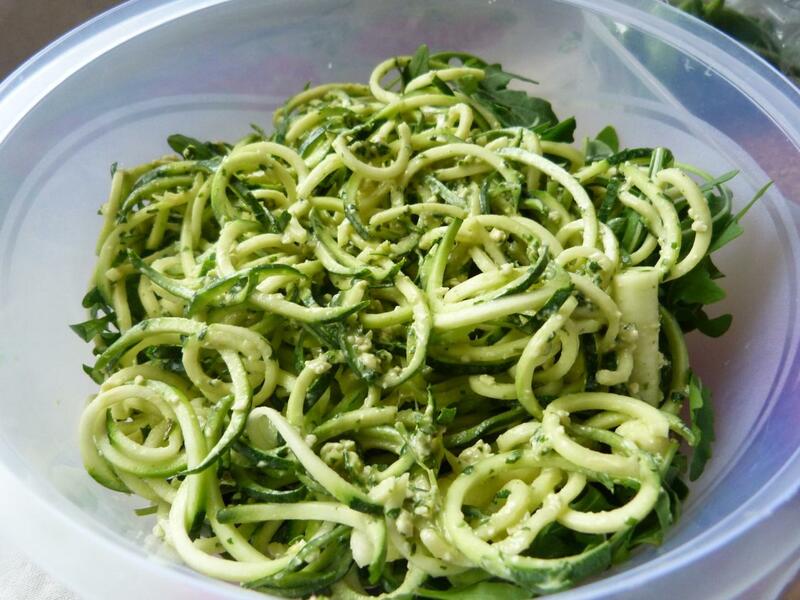 Lov ethe sound of your pesto Laura, especially with the added boost from the hemp oil. Hello, can you tell me where I can get chai seeds from. YUM! I love the look of everything in this post.